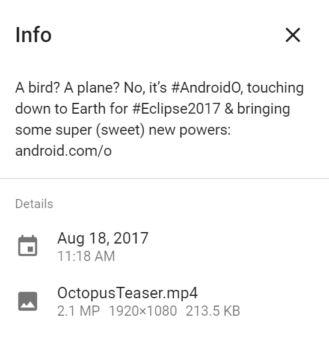 Based on the filename for a video Google recently posted via Google+ (GoogleOreo_Teaser_0817_noDroids (1).mp4), odds are high the next release of Android will be given the name Oreo. As our name might suggest, Android is sort of our raison d'être here at Android Police. And while we had a good idea that the 21st was an important date, this is the first official confirmation we've had that Google has something planned for the day. Unfortunately, we don't quite know if "touching down" means an official release or just an announcement. We'll have to see. Along with the countdown for the upcoming event, Google's page also has links to the NASA livestream, giving us a good way to spend some time before the event itself kicks off. I'll be out in the mountains of Tennessee watching the eclipse, myself. So, unfortunately, I'll probably miss out on the Android festivities (barring a good LTE signal), but you can trust our coverage of the release to be impeccable, as always. 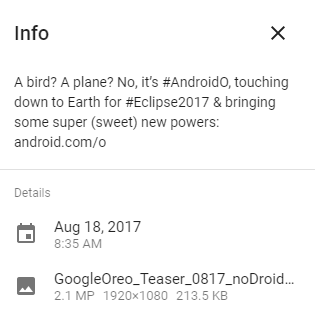 That isn't absolute proof, but it is certainly a decent indicator that the next release will be named Oreo. But it's still possible that someone at Google just has a sense of humor for rumors. Google has replaced the post with the video, presumably following the attention the filename has received. 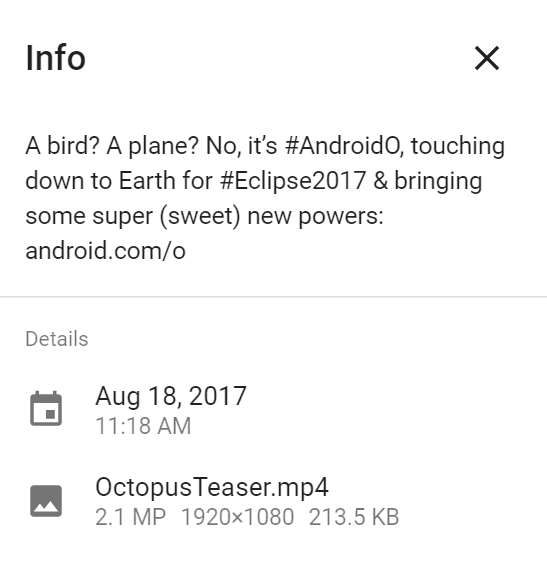 Now it's been renamed to "Octopus Teaser.mp4" in a new post. It's possible the previous name was a mistake, but I think the quick attention to indirect denial here is telling. Either way, we'll find out on the 21st.